Hours after the Republican National Committee released a report Friday that claims Senator Mary Landrieu (D-LA) took nine more charter flights between 2000 and 2008 to campaign events that cost taxpayers an additional $130,527, Landrieu released her own report in which she admitted that taxpayers spent $33,700 on 43 charter flights to political events. It is illegal for members of Congress to pay for campaign activities with taxpayer funds. In Landrieu’s report, released four days after an announced deadline of September 8, she claimed that her campaign has now fully reimbursed the taxpayers for those flights. Republican spokespersons pounced on the news, which was released late Friday afternoon–the time of the week traditionally used by Washington politicians to “dump” news that is bad for them. In an emailed statement sent to Breitbart News late Friday, Republican National Commitee Chairman Reince Priebus called for an independent review of Landrieu’s travel expenses. Besides issuing a public apology, Landrieu made no indication that taking “full responsibility” for this “sloppy book keeping” would involve any further action on her part, or should involve any further consequences for her. Landrieu had previously admitted that taxpayers paid for four other charter flights to campaign events, two in 2013 and two in 2012. The revelation of these nine earlier taxpayer funded campaign flights brings to thirteen the number of known flights Landrieu took to campaign events that were paid for by taxpayers. For Landrieu, this is a very unlucky thirteen. 1. A November 2013 charter flight from Shreveport, Louisiana to Dallas Texas that cost taxpayers $5,700. 2. A September 2013 round trip charter flight from New Orleans to Lake Charles, Louisiana that cost taxpayers $3,200. 3. 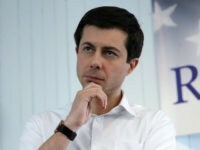 An August 23, 2012 charter flight “from New Orleans to Vidalia to Shreveport to Alexandria and back to New Orleans” that cost taxpayers $6,787, according to Politico. 4. An October 23, 2012 charter flight “from New Orleans to Opelousas to Patterson and back to New Orleans” that cost taxpayers $3,437, according to Politico. The total amount these thirteen flights to campaign events cost taxpayers is $149,651. The evidence presented in the RNC Landrieu Flight Audit that these nine charter flights, taken by Landrieu between 2000 and 2008 and paid for by the taxpayers coincided with campaign fundraisers, is strong. In the report, the dates of the flights taken match with the dates of large donations reported by the Landrieu campaign to the Federal Election Commission. A Breitbart News review of the Landrieu Flight Audit indicates that taxpayers spent $11,526.53 for these nine “suspicious flights,” to locations at or near nine fundraising events where Landrieu raised a total of $130,527 from 177 donors, who each donated between $200 and $2,100. The majority of donations were in the amount of $500 or $1,000. 1. A May 31, 2000 charter flight from New Orleans to Alexandria that cost taxpayers $1,531.81. On that same date, FEC records indicated that the Landrieu campaign raised $28,150 from 29 donors in Alexandria. 2. A March 16 to March 17, 2000 round trip flight from New Orleans to Ruston that cost taxpayers $1,347.75. On those dates, FEC records indicate that the Landrieu campaign raised $6,000 from 10 donors in the Ruston area. 3. An April 3 to April 4, 2002 charter flight from New Orleans to Deridder and then Lafayette that cost taxpayers $1,241,09. 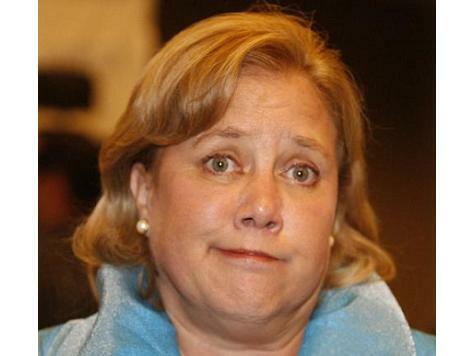 FEC records indicate that the Landrieu campaign raised $17,250 from 25 donors in the Lafayette area on those dates. 4. A July 22, 2005 charter flight from New Orleans to Opelousas and then on to Slidell that cost taxpayers $950. On that date, FEC records indicate that the Landrieu campaign raised $12,550 from 17 donors in the Opelousas area. 6. An August 21, 2005 charter flight from Houma, Louisiana to Slidell and then Lafayette that cost taxpayers $1,325. On that date, FEC records indicate that the Landrieu campaign raised $11,500 from 9 donors in the Lafayette area. 7. An August 25, 2005 flight from Slidell to Lake Charles and then on to Baton Rouge that cost taxpayers $1.655. On that dates, FEC records indicate that the Landrieu campaign raised $8,750 from 15 donors in the Lake Charles and Baton Rouge areas. 8. A May 18, 2008 flight from New Orleans to Monroe that cost taxpayers $2,379.88. On that date, FEC records indicate that the Landrieu campaign raised $20,900 from 43 donors in Monroe. 9. An August 14, 2008 flight from New Orleans to Shreveport, then on to Baton Rouge that cost taxpayers $2,365.69. On that date, FEC records indicate that the Landrieu campaign raised $12,950 from 15 donors in the Shreveport and Baton Rouge areas. As Breitbart News reported earlier, a spokesperson for Senator Landrieu’s office had promised that she would release her own report on her travel expenses by the time the Senate returned to session on September 8. However, as of Friday, four days after this self-imposed deadline, her office has not produced any such report. Louisiana Republican Party Executive Director Dore added that “[i]t’s four days past Mary Landrieu’s own self-imposed deadline for her report,” and, for that reason “the GOP is releasing its own audit,” the Advertiser reported. Though a spokesperson for Senator Landrieu had previously claimed the Senator’s campaign had reimbursed the Senate office for the two charter flights taken to campaign events in 2013 that were admittedly paid for by taxpayers, Breitbart News reported earlier that these “reimbursements” did not actually consist of cash payments to the taxpayers, but were instead credits for future charter flights provided by the charter company. Those two flights accounted for only $8,900 of the $149,651 spent by taxpayers on charter flights taken by the Senator that may have been for political campaign purposes. Neither Senator Landrieu’s office nor her campaign have offered any statement as to whether her campaign intends to reimburse the taxpayers for these additional $140,751 in campaign travel expenses. Requests by Breitbart News to Senator Landrieu’s office and campaign for comments received no response.